I did not grow up eating carrot cake. I don't even remember my grandma making a carrot cake, EVER. So I was caught off guard when I had the urge to make one myself. I could not stand eating cooked carrots as a kid. Just the smell would send me running to the bathroom in horror. Raw carrots were okay once in a while, just not the cooked ones. I can remember being at a church event about 20 years ago and being presented with the opportunity to test someone's "famous" dish. Not wanting to say no or be unkind, I agreed. We walked back to the kitchen and there before me was a HUGE bowl of cooked carrots that had been prepared with a ginger flavored sauce. I found myself in an uncomfortable position….what to do, what to do. Mentally I was freaking out, and outwardly I had the appearance of a refined lady. I smiled, took the plate and took the first bite. I waited. I expected the carrots to remind me that they were not accepted by my body and to take off running to the nearest bathroom. I waited some more…and nothing! I had been cured of my aversion to cooked carrots. YEAH! 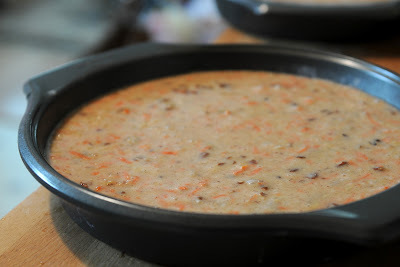 To this day, I don't go out of my way to make them often, but I did get the recipe for the carrots I tasted above and have served them several times through out the last few years. 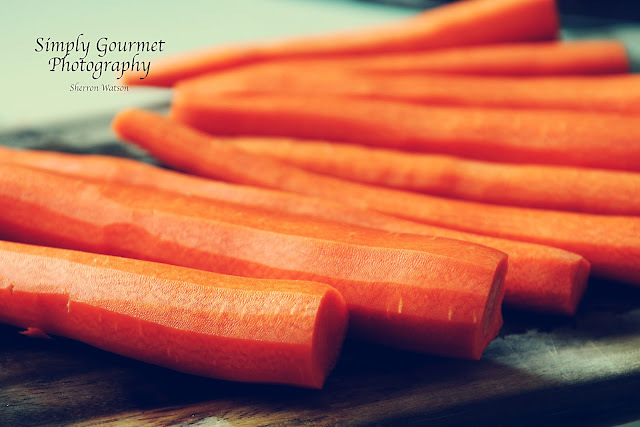 I will search for that recipe and share them this summer when I get some fresh carrots from the farmers market. I chose this recipe to make because it had so many fun ingredients: coconut, pineapple, pecans and carrots. I felt like it would be a tropical paradise in every bite…and it was! The title for this recipe has the word "best" included in it. I can tell you for a fact that every recipe with this word does not make it the best every time. I have been disappointed and so went into this with an understanding that it may or may not be the BEST. I can tell you, after the fact, that it is pretty close to being the perfect carrot cake recipe. I delivered half of this cake to my neighbor and he LOVED it, my husband ate the other half (just about) and the kids thought it was good too. 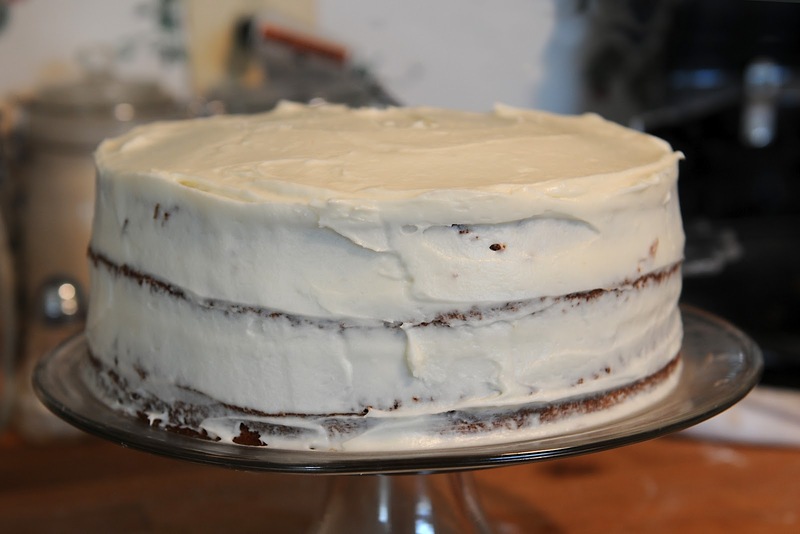 The cake is beautiful when cut, holds it's shape, stays moist and as it sits for a few days in the fridge, becomes a little bit better. My daughter who is 5 is always telling me, "Mommy, when I am older, I will like that food". She is much wiser then I ever was at her age. She is right. Our taste buds change and develop as we age and it's always a good idea to try new things throughout your life time. I am glad that I did and the carrot lesson taught me to revisit some food items from my past that were not my favorites. Since then I have discovered that I enjoy: beets, grits, beans, blue cheese and of course, carrots. Line 2 round cakepans with wax paper; lightly grease and flour wax paper. Set pans aside. Bake at 350° for 35 to 40 minutes or until a wooden pick inserted in center comes out clean. Cool in pans on wire racks 15 minutes. Remove from pans, and cool completely on wire racks. Cut the cakes in half so that you have four layers. 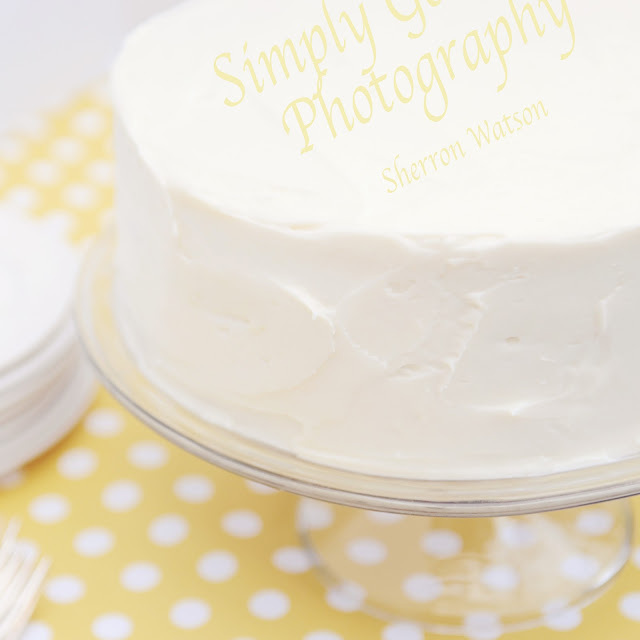 Spread Cream Cheese Frosting between layers and on top and sides of cake. See below to frost your cake with out having a ton of crumbs to deal with. 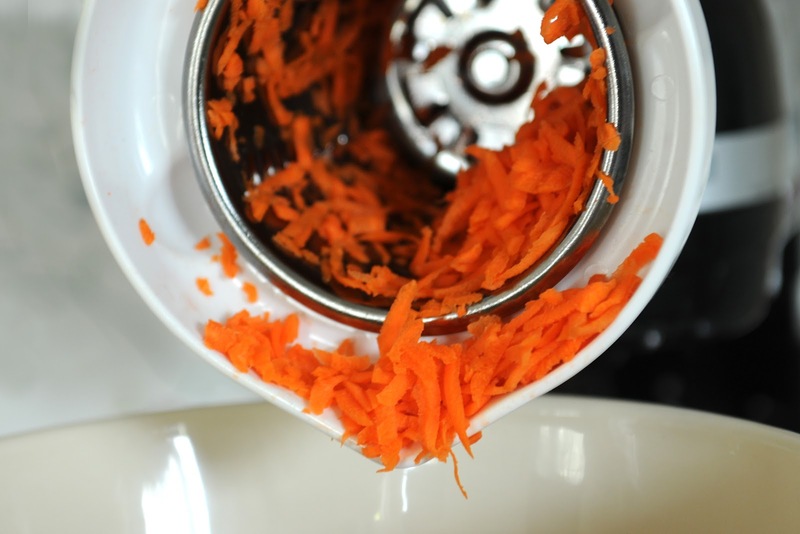 I shredded my own carrots. One cup was about 2 medium size carrots. I filled the cake pans this full and they baked wonderfully. I was able to cut the cakes in half and this gave my my four layers. Having the parchment in the bottom of the pans is amazing! Your cakes will never stick. Use a pencil to trace the bottom of your pan onto the parchment paper and cut out the circles. Place them in the bottom and spray with oil and flour. When your cake is done, turn them over onto a rack and peal off the paper. Stack your slices and add the frosting to each layer. 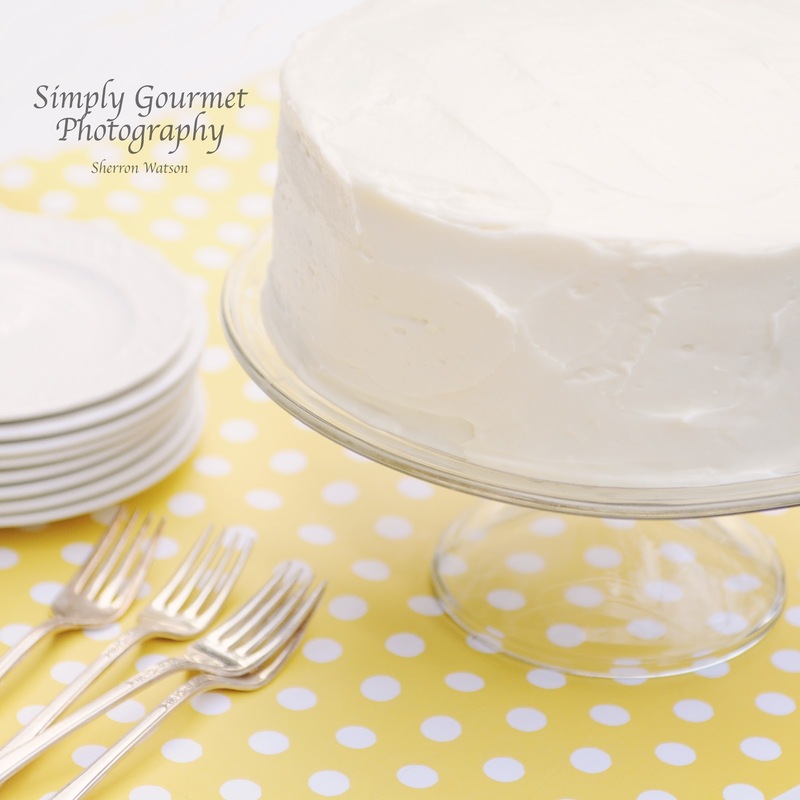 Take a basting brush and dust off any crumbs on the plate and on the sides of the cake. When frosting a cake you do not want lots of crumbs in your final layer of frosting. By brushing off the crumbs you will eliminate some of this. The next step is the under layer of frosting. This is important because this the layer that traps those final crumbs. 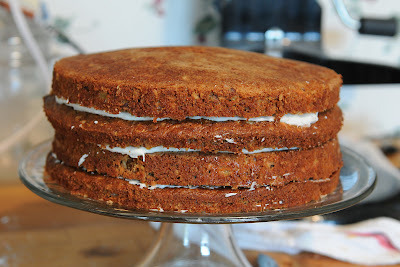 I usually do a thin layer to fill in any holes and gaps, level the cake, and insure that the crumbs are all under control. I take this cake and place it in the fridge for at least 30 minutes. When I add the final layer of frosting it is amazing out simple and easy the process is. So pretty! 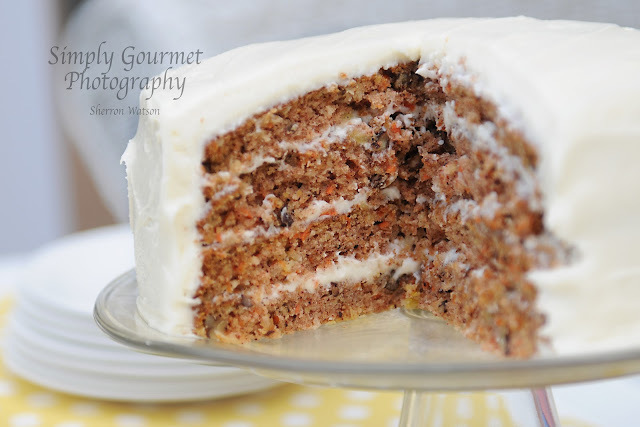 Carrot cake is my favorite dessert. I am partial to my recipe however because it has a can of chopped pineapple that replaces some of the fat. I just don't think you can go wrong with a lovely slice of carrot cake. Well done! Thank you! 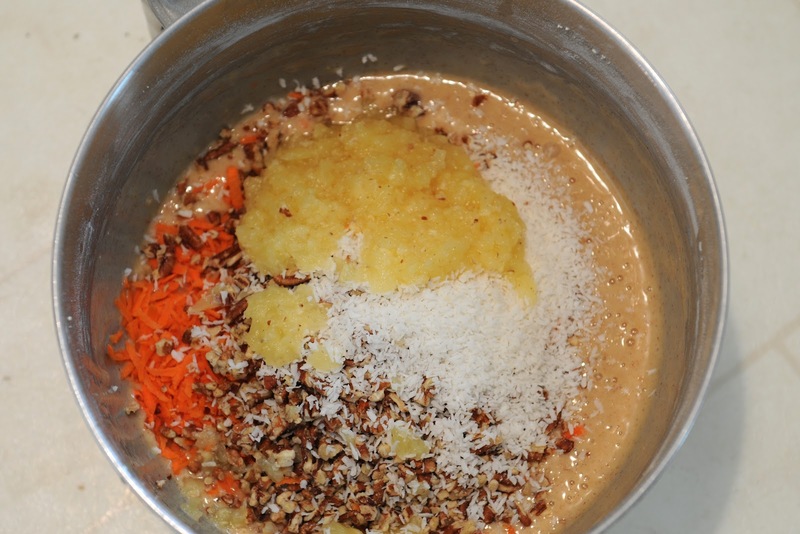 I would love to have our recipe too…I like the idea of cutting out some of the fat. Simply stunning! 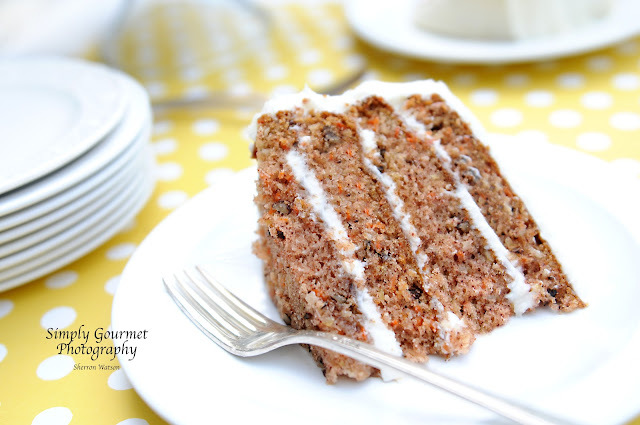 Love carrot cake and yours is just so tasty looking! Thumps up!!! Thank you Sandra! Have a fabulous day!! I made this for a good friend's birthday yesterday. Everyone raved about it and said that it was the best carrot cake they've ever had. Well done. Thank you Cheyenne for your kind words. 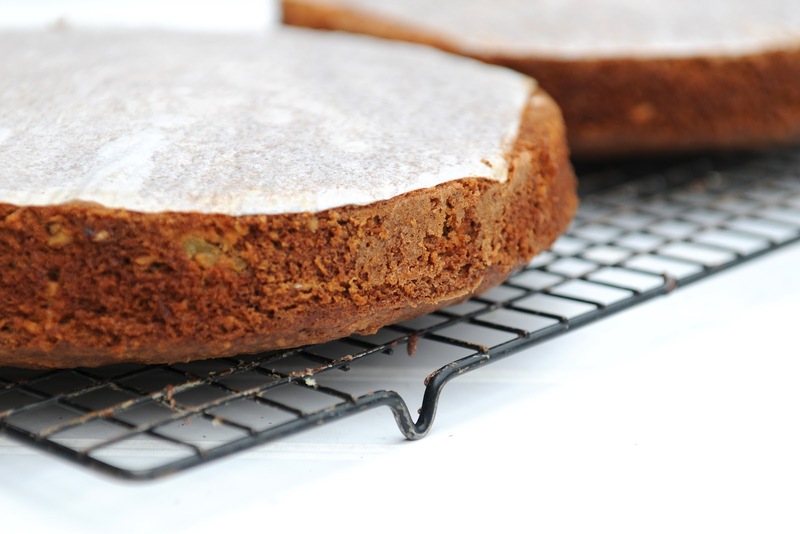 We love this version of carrot cake too. Have a lovely day.